The thought of trapping rats can be intimidating to a lot of people. Dealing with large traps and a potentially disease carrying rodent is enough to make some homeowners contact a professional exterminator. However, trapping rats yourself and permanently removing them from your home, attic, barn or garden is really not that hard. In fact, it's very similar to trapping a mouse, you're just using a little bit bigger trap. Rats can create significant damage to your home by chewing electrical wires and building materials such as insulation and siding. Plus, they can spread diseases and create unpleasant odors throughout the area. Once you've determined you have a rat, or more commonly rats in your home, you should consider removing them as soon as possible. So where do you begin? To makes things easy, we've created this easy to follow guide describing every step of the process. Are you ready to take back your home and prevent rats from coming in again? Great, let's get started. The first step for getting rid of rats is determining which type of rat you have invading your home. Depending on where you live you'll be dealing with either Norway Rats or Roof Rats. Norway Rats are larger than Roof Rats and typically nest in lower elevations compared to Roof Rats which typically invade the upper portions of a building. To learn more about each rat, read this article on facts about rats. Just because you have a few rats living in your home doesn't necessarily mean your home is filthy. Rats can invade even the cleanest homes or buildings. However, having food or garbage lying around will definitely increase the odds of having a problem with rats. Read this article titled what do rats eat to learn how to ensure your home does not look like a free buffet to rats. Finally, having a general knowledge about a rats lifespan and how often they reproduce can confirm why it's important to remove a few rats before they become an infestation. To learn more, read this article titled how long do rats live? 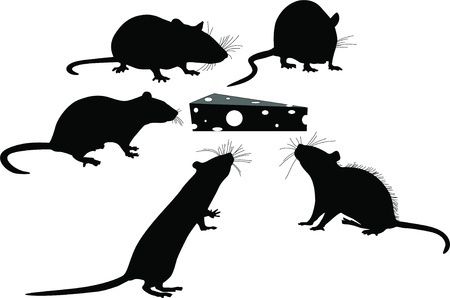 Pest control for rats is very similar to controlling another common household nuisance.....mice. In fact, rat and mouse control uses a lot of the same tactics and techniques. In order to successfully remove rats from your home you must seal off all of their entry points. This step is probably the most time consuming and important part of rat extermination. If you don't seal off the entry points, rats will continue to enter your home no matter how many rats you trap inside. Consider this....as rats enter your home they leave behind urine, brown grease stains, and scents that attract other rats to the same area. It's almost like a highway inviting rats to come inside. To protect your home, use metal flashing or steel wool to seal off their entry points. Sealing off your home from additional rats is the first step in trapping rats. Once you've sealed off your home, the rats living inside will be easy to get rid of. 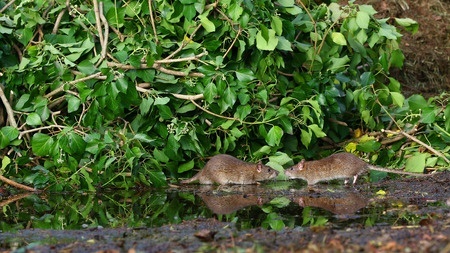 Rats can also be a nuisance in other areas around your home. To learn more, read these articles about rats in the garden or rats in the cellar. A quick online search or trip to your local home improvement store will give you a plethora of rat traps to choose from. With so many different choices which one should you choose? Believe it or not, the old fashioned wooden Victor rat trap is in my opinion your best option. They are cheap, easy to set and they work great. Plus, since they are so inexpensive you can buy multiple traps without costing you a lot of money. Setting a Victor rat trap can be a little intimidating because they are large and powerful traps. 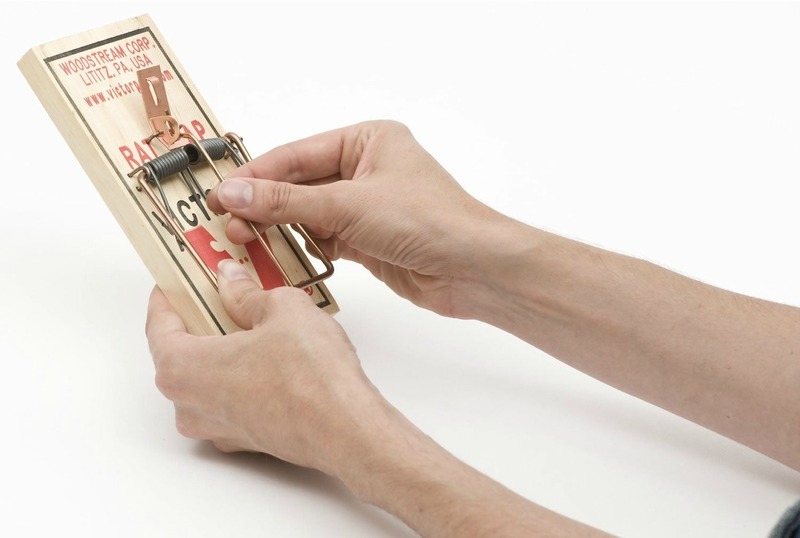 This article contains step by step instructions on how to set a rat trap without injuring yourself. If using a snap trap does not sound appealing to you, consider the next best option, the Victor electronic rat trap. The electronic rat trap offers a humane, effective way to kill a rat without trying to set a snap trap. Is there a less lethal way to remove rats from your home? Should you spend time on rat repellents such as moth balls, urine, human hair or commercial sprays? Read this article to learn our thoughts on homemade repellents or ultrasonic rat repellent devices. Trapping rats does not have to be difficult. In fact, you can do it yourself and save hundreds of dollars. You don't have to share your home, barn or garden with rats. Follow this simple guide and rats will simply be a bad memory.